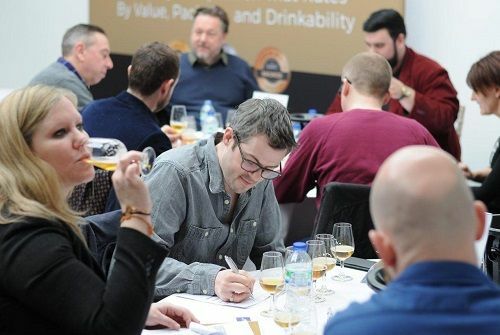 The London Beer Competition looks to recognise, reward and help promote beer brands that have successfully been created to identify with and target a specific beer drinker. For any beer brand to earn its place on a retailer’s shelf or a restaurant’s beer list - and then vitally stay there - they need to be marketable and consumer driven and not just produced in the general hope it can find enough people willing to sell and buy it. That is why the London beer Competition is different. It will single out and shine the spotlight on those beer brands that consumers really want to buy and have a clear market value for trade buyers. 2. Their value for money. 3. What they look like. The London Beer Competition is not about recognising beer that achieve the best quality scores, but you would struggle to drink more than a glass of. We want to celebrate beer that are both enjoyable and easy to drink. beer that are well balanced, where their acidity, tannins and alcohol levels all work seamlessly together. That’s the quality factor. You don't need to be the cheapest beer on the shelf to offer the best value for money. Far from it. A beer may have a high price tag, but can still offer great value providing it delivers the right quality and taste for a beer at that price point. The London Beer Competition will assess each beer for how much value it is offering its customers. This is arguably the most important part of a beer brand to get right. For, after all, what a beer brand looks like is how every consumer chooses the beer they want to drink. With their eyes first. Up to 65% of consumers will try a new beer just because it looks good and if you can match that with a price and quality of beer that offers great value for money, then you are more than half way home. The London Beer Competition will reward those brands that show they understand their customers, and the price category they are operating in, and have produced a design and package with the right personality to attract and keep their attention. Crucially all the winners in the London Beer Competition will give future trade beer buyers, be they for a supermarket, specialist beer retailer, casual dining or upmarket restaurant, the re-assurance that these are beer that their customers want to buy. The London Beer Competition also recognises the huge talent and skills that now exist right through the beer supply chain. From the brewers, breweries/ and producers that are making the beer; through to the specialist importers and wholesalers that help bring them to market; along with the designers, packaging experts and brand development teams that ensure there is a market and customer base to sell to. The London Beer Competition has been created exclusively by the Beverage Trade Network, the US drinks events, services, business and publishing group dedicated to helping drinks producers and brand owners get closer to the buyers, distributors and retailers that can bring their products to market. It is part of a new wider London drinks awards initiative that also includes The London Spirit Competition that looks to reward and highlight market driven consumer.